So I was reading the new Allure last night, and in it they mentioned the Z Palette. Of course, I’ve heard if it before, but I’ve never really needed one. But now, I have a few drug store palettes, so I decided that I would get rid individual palettes and just combine them in to one. First, I looked on the Z Palette website so see how much they were, and they’re crazy expensive. Since I wasn’t going to pay those prices for a magnetic palette, I decided to consult with Youtube. After watching a couple videos, I got an idea of how I could make my own version with things I already had at home. I kinda have an obsession with pens and mechanical pencils, like the really cutesy/asian kind, so I happen to have a lot of pencil cases. I knew I had one that I was going to give away, but instead I decided to use it to make a palette. 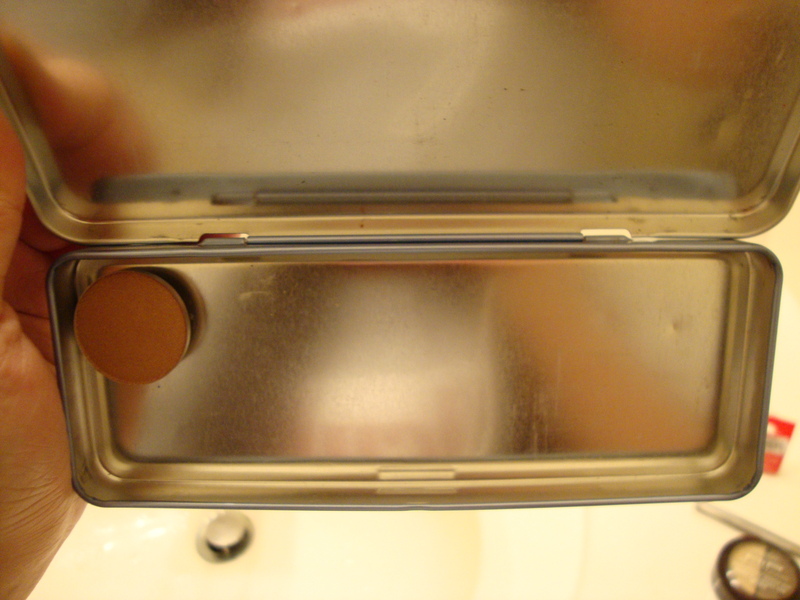 Obviously if you don’t have a metal one, you can just line the bottom with sheet magnet, but having a metal case takes care of this. Also, you wouldn’t have to put magnets on the pans. If you don’t have a pencil case, you can use any type of container, but I thought the sizing for this was pretty good, not too big not too small. Depot any eyeshadows that you plan to put in your palette. You can use a blow dryer (that’s what I used), but you can also use a lighter. Basically you just need something that will melt the glue. I wouldn’t place the blow dryer right on top of the palette you’re using. 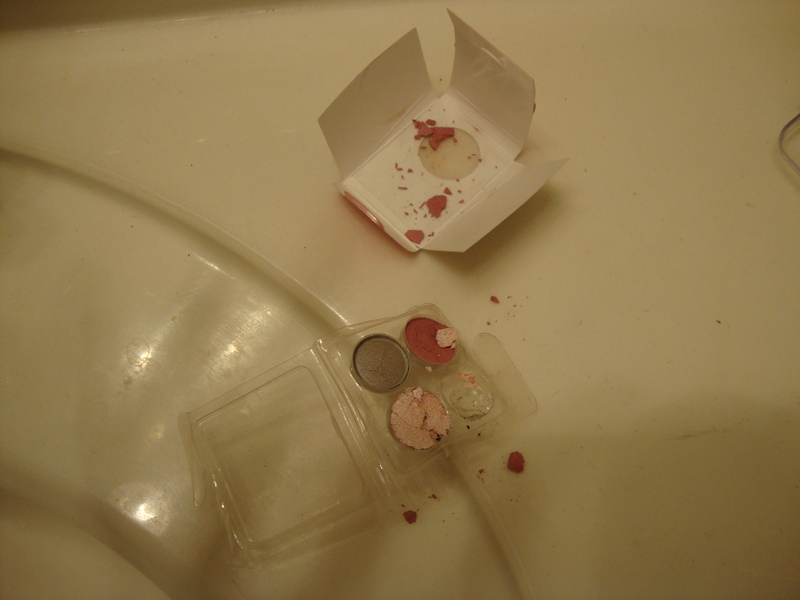 I did that and had it on there too long and melted both the palette and the plastic on the blow dryer. 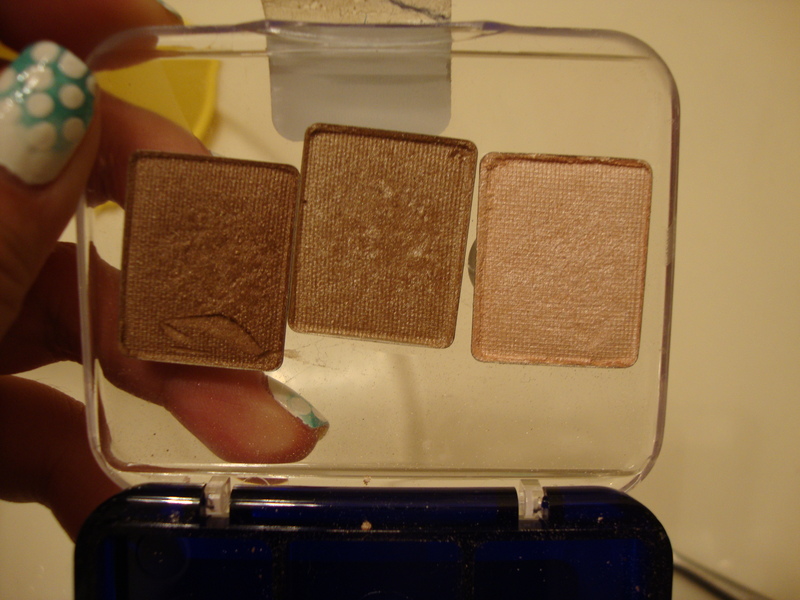 Also, if you’re an Ipster, I would advise against trying to depot the Coastal Scents Mini Quads. I did and it just made a big mess. I warped the plastic and the shadows broke. 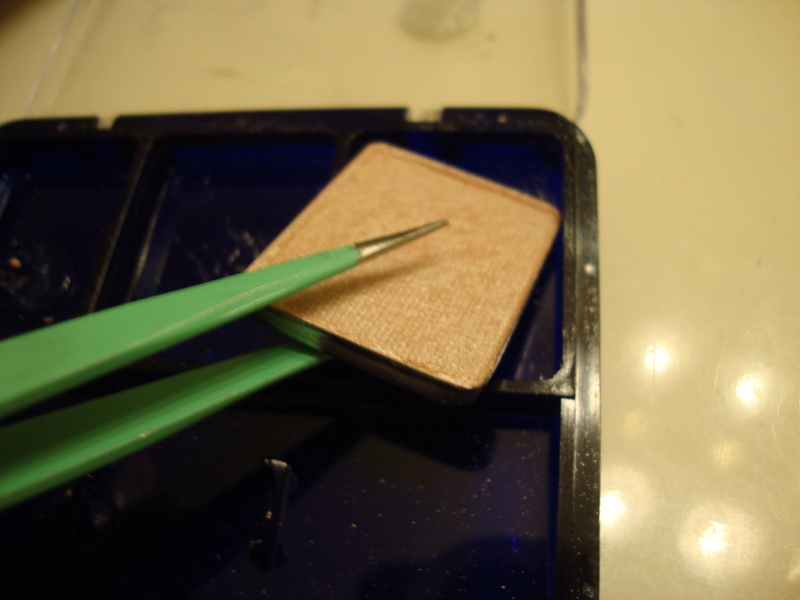 Once you’ve melted the glue, take your tweezers and lift the pan out of the palette. 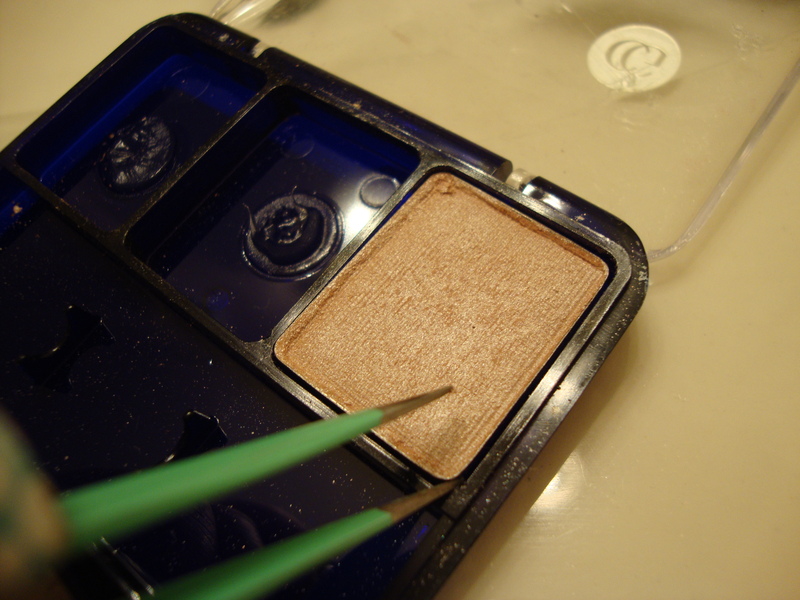 Try to place the tweezers in a corner where there is a gap between the pan and the palette; it’s a little easier. If you’re having trouble lifting the pan, try heating the palette again. If you’re a first time depotter like I was, it may get messy. You can these tweezers at Forever 21. They’re inexpensive, like $4.80 for this one and the standard tweezers. Put your shadows to the side. I just placed them on an old palette. DON’T REMOVE THE GLUE. As you can see, I scraped the first shadow. 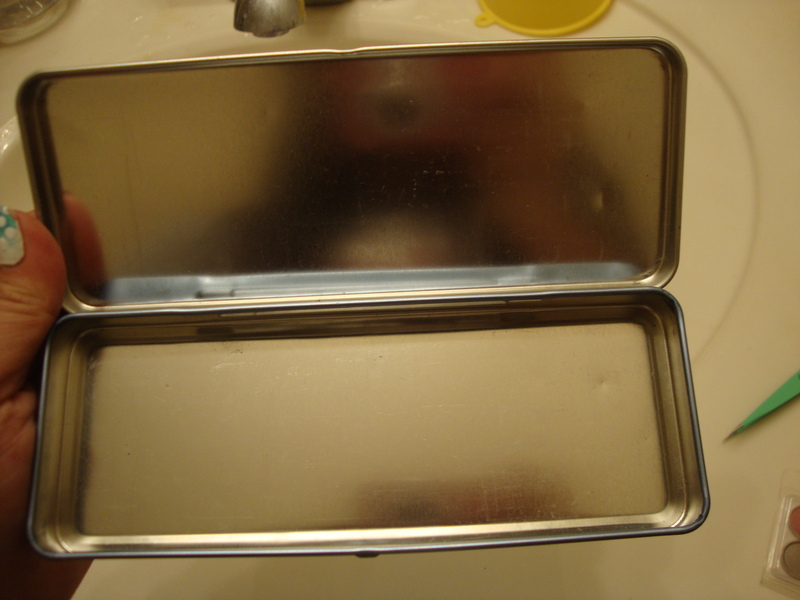 Take your magnet and cut it to fit on the back of the pan. 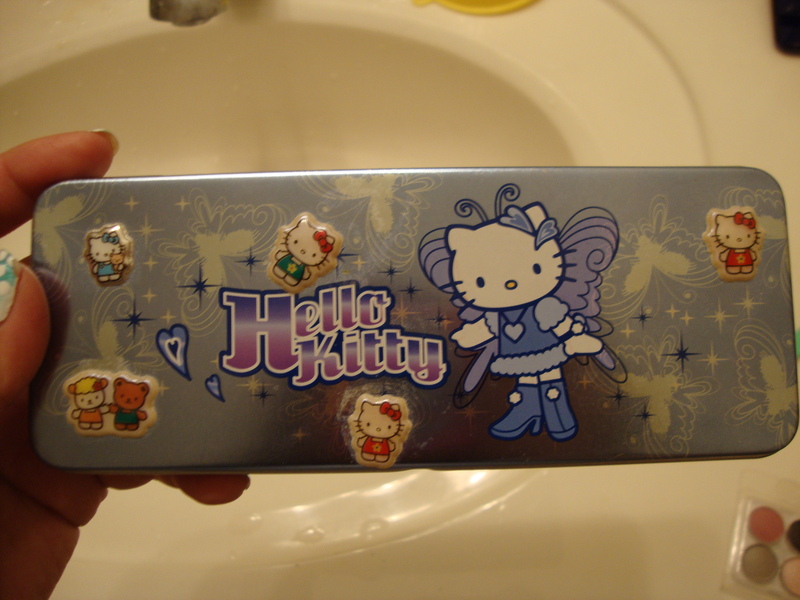 The magnet I had. Unfortunately, it’s pretty cheap, so when my palette fell, my shadows shifted some. I would advise using stronger magnets. Place the magnet on the pan. 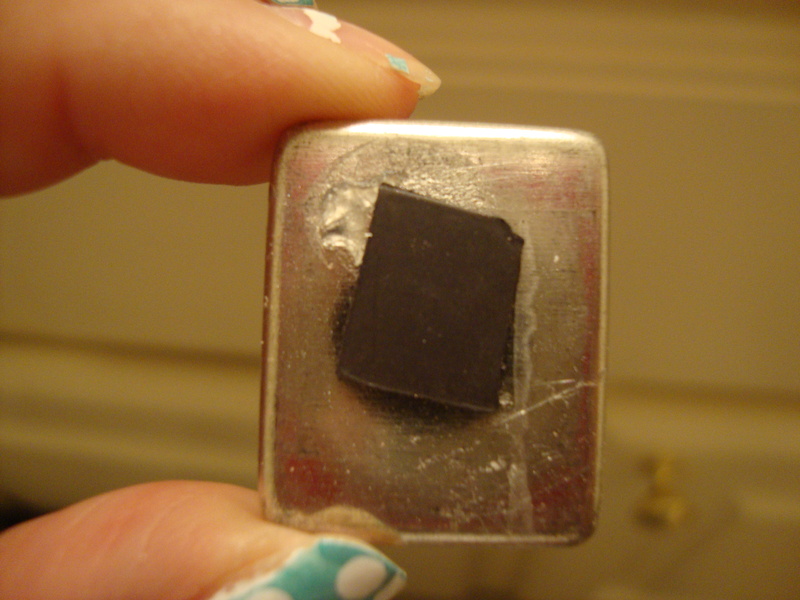 The magnet I had had a strip of adhesive on the back, but it was awful. Luckily, many of my shadows still had the glue on the back that was still pretty sticky, so I didn’t have to worry about using additional glue. Of course if you want to make sure your shadows stay secure, you could remove the old glue using Goo Gone and add your own. 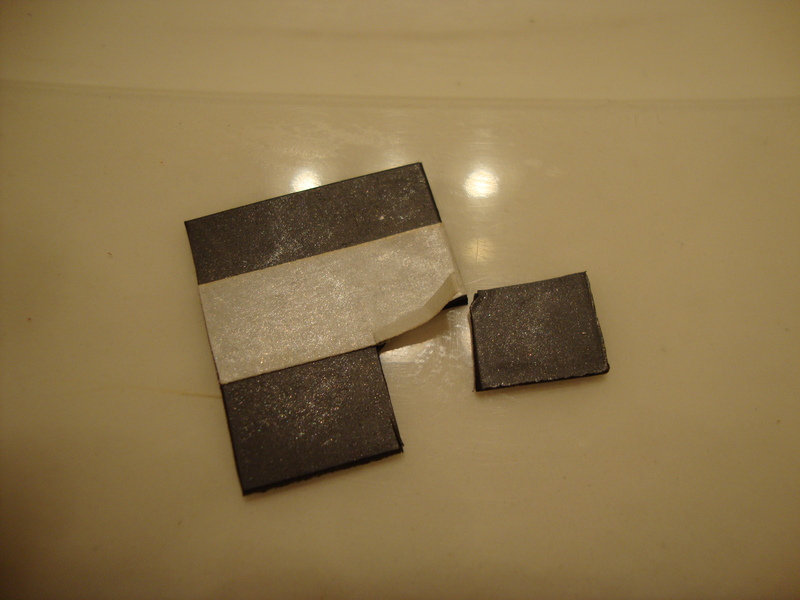 For one of the shadows, I used a small round magnet that was strong enough not to need glue at all. I placed the magnet where the original glue was to help the magnet stick. Place the shadows in your palette. 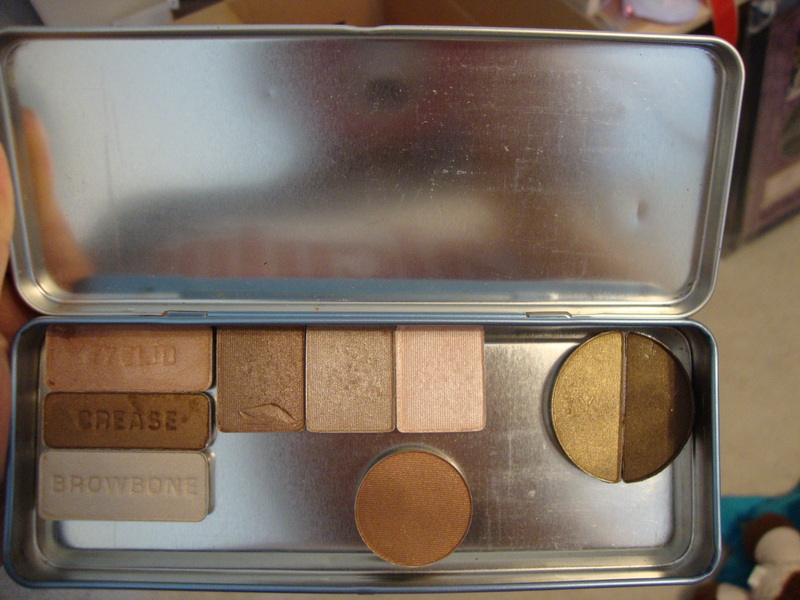 There you have it, a homemade almost Z Palette! I hope that this was helpful, and you have any questions, leave them in the comments below. Also, if you don’t have any of these items, you can also try this method. Good luck! I’ve done the same thing but instead of adding a magnetic backing, I bought little round dot magnets @ the $1 store, put on the back of each shadow and they stuck to the metal of the tin and you can move them around etc.